Let me preface this with: This is just my personal view of where I want to see things moving long term. (at least for today, I’m sure my mind will change in the future) It’s just something that I’ve been spinning around in the back of my head. Everything here is hypothetical for the most part, except where implementation has already started. The increased number of utilities, and libraries allow for more diverse configurations, and combinations besides allowing us to have more targetted development for each repository. Which should hopefully lead to a faster path to contribution for everyone by making everything simpler. subunit2sql: this already actually exists but the basic intent is to provide a utility and library for the storage of subunit streams. One of my TODOs here is to also integrate it into testrepository so it can be used directly to store testr results in a SQL DB. This leaves tempest to really be just the tests. The common functionality, like the unified REST client, are part of the library which allows reuse by other external tools. 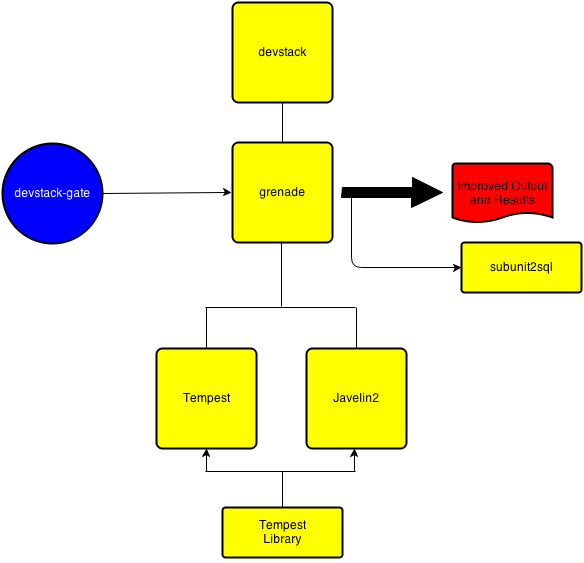 This allows people to use all the work we’ve been doing in tempest around building a black box integrated test suite to build their own functional test suites (which was a motivation for starting the library now) or whatever other purpose they have. As part of breaking the functionality out we make a number of small utilities that are currently in the tempest repo that were only there because they were tied to the common code in tempest. 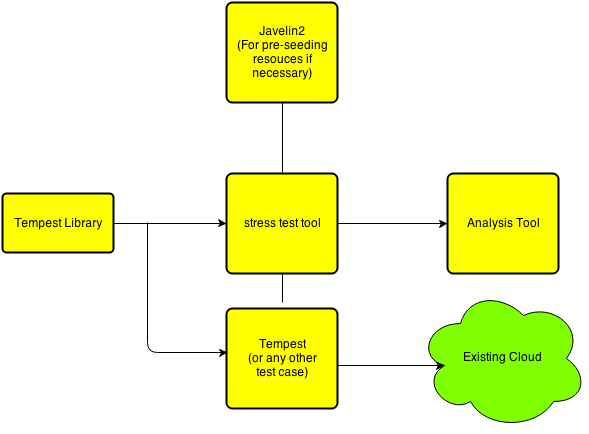 Part of the current issue we’re seeing with tempest is because a large portion of the common functionality in the tree is not really modular we have things in tree which aren’t necessarily related to integrated testing. 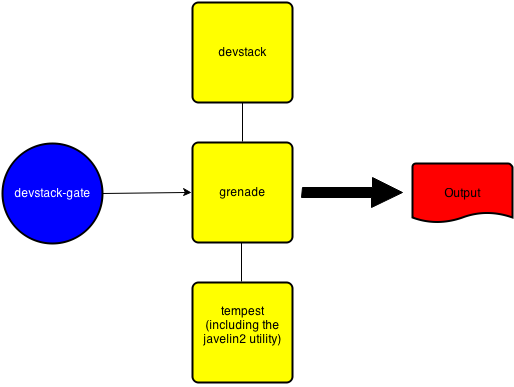 (ie, javelin2, run_stress) Also, using tempest as a base for testing in a different repo is very difficult. 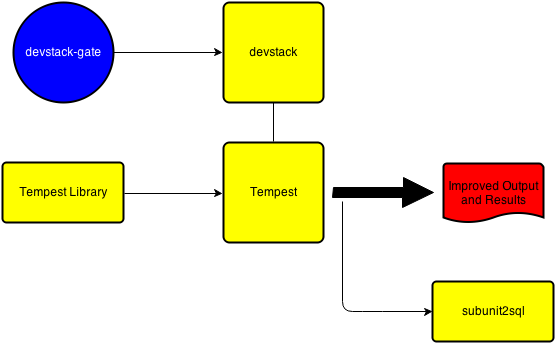 I have seen a couple cases where other projects want to spin up a functional test suite similar to tempest with the hopes of converging down the road. But, this is very difficult to accomplish today because nothing in tempest is really modular or provides a stable interface. Also, having a leaner tempest should make it a bit easier to concentrate on some of the usability gaps which have been pointed out in this thread, and things that were already on our radar which we’ve been discussing. Improving the output and results view are definitely big ones on this list. Another possibility might be creating a tempest CLI instead of just calling tox or run_tempest.sh. Which is something that we’ve discussed in the past. Another key area were I expect to see improvements is the instrumenation of tempest. Right when it comes to metrics around performance of anything that tempest is doing we have only rough idea of the execution time. For example, through the subunit stream we know how much time a test case takes to execute, but the setUpClass is not captured in the subunit data. 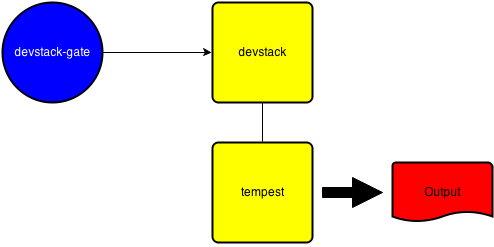 Or for API calls we meaure the time it takes for the tempest rest_client’s request method to finish executing. But, this doesn’t necessarily give a complete picture, especially around async requests. To use tempest as a load generator for non-functional testing fixing these issues becomes important. I expect after libification of parts of tempest, primarily the rest client, making these improvements will become simpler and be prioritized. With this new constellation of smaller more logically split projects we have additional modularity and each component is useful on its own. In conjunction they can be used to build even more customized pipelines. It’s really just an expansion of the model we currently have, but making the logical splits a bit more clearly. I also expect that additional projects will be created and added as we move forward. Which is a major advantage with using the Unix philosophy as that things can grow organically and build off of each other. Then from the gating runs we can use the data stored in the database in conjunction with the analysis tool to visualize long term trends in performance data. As well as use it to track general testing trends over time. Having the data in a DB also allows to build tooling to query it to find other useful trends or information. Which is something we’re lacking today. So, this one is basically the same, but I want to point out that in conjunction with some of the other tools this could be a bit more custom. Like using subunit2sql as I outlined for the gating examples to track trends over the lifetime of the cloud. The real advantage here is the flexibility this approach allows. These configurations can either use or not use any of the other pieces to build a custom pipeline for testing depending on the requirements. I feel that we’re not all that far off from something like this. We’re starting the first steps working towards this now. But, I do think it will probably be at least 2 cycles before we have all the pieces as I outlined here.